The Meydan Group has launched a new residential and lifestyle community development at Cityscape Global today. 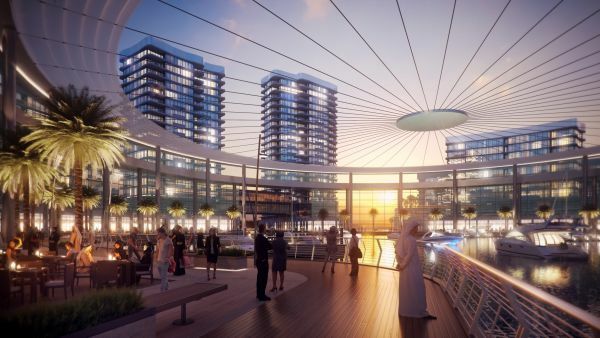 The exhibition stand became the focal point of Cityscape Global’s official VIP opening as Marsa Meydan, a first of its kind waterfront community in Jebel Ali offering excellent value for money and affordable luxury, was revealed to VIPs, media, real estate investors and show visitors. 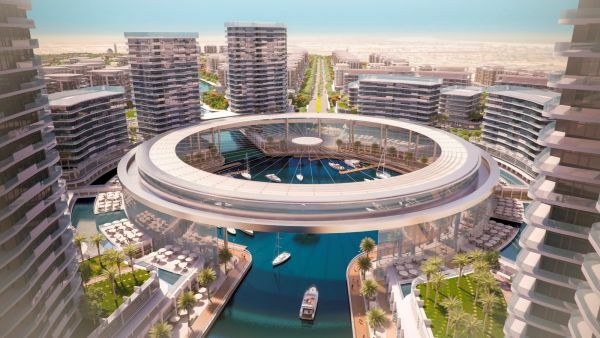 An iconic climate-controlled marina will act as the hidden jewel and centre point to the development, featuring a revolutionary shading device used to cover the marina during the UAE’s intensely hot summer months and making it a suitable al fresco destination throughout the year. Chairman and CEO of Meydan City Corporation, Saeed Humaid Al Tayer said – “Marsa Meydan has been created in line with the vision of His Highness Sheikh Mohammed Bin Rashid Al Maktoum, the Vice President and Prime Minister of the United Arab Emirates, and Ruler of Dubai to make Dubai the happiest and healthiest city in the world, one iconic landmark at a time. A 15-minute drive from Al Maktoum International Airport, Marsa Meydan will offer excellent value for a range of budgets, embodying the spirit of wellbeing, happiness and community living with a Grand Boulevard creating a new Dubai address, just off of Sheikh Zayed Road, and a shaded and climate controlled boardwalk will place year-round outdoor leisure activities at the forefront. 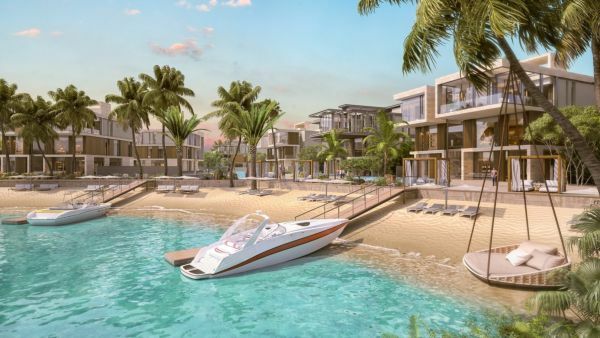 Pristine white beaches will be available for residents to enjoy, along with water activities such as swimming, boating, light water sports, kayaking and stand up paddle boarding. 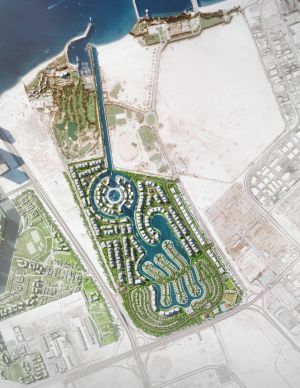 Envisioned in alignment with Dubai’s plans to be the world’s most sustainable city, parks and open spaces will cover a large area of the project with jogging tracks, bike lanes and electrical car lanes, while a multi-modal network will create pedestrian friendly walkways featuring ample charging stations for electric vehicles. 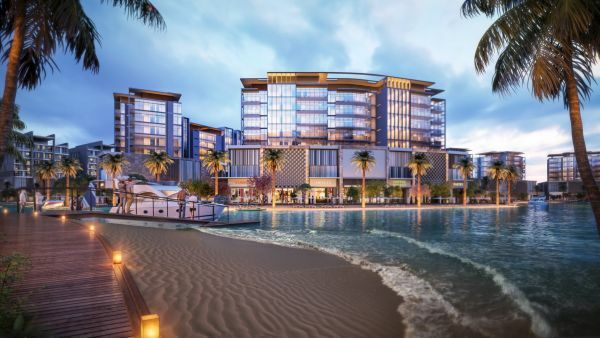 Four hotels will feature in Marsa Meydan, a combination of four and five star properties, while a host of food and beverage outlets and retail shops will line the canals and boardwalk, and a community centre with a cinema is also planned. The development will also be home to a mosque, schools for children from nursery and above, as well as a civil defence plot. Also in focus at the Meydan stand of Cityscape Global is the Meydan One Mall, on track to be Dubai’s most innovative retail space, and Mohammed Bin Rashid Al Maktoum City – District One, the premier city-centre lifestyle community of mansions, villas and waterfront apartments set amidst natural surroundings in the 45 million square feet prime freehold development of Mohammed Bin Rashid Al Maktoum City. Advisors from Meydan are available to provide visitors with updates on both projects, while much coveted apartments in District One are also available for sale. In one of the most technologically advanced, interactive exhibition stands, spanning 792sqm in Sheikh Saaed Halls at the Dubai World Trade Centre, thousands of visitors to Meydan at Cityscape Global will also learn about the benefits of choosing Dubai for their investment. Touch screens, videos and graphics will tell the story of the development of the emirate into one of the beacons of innovation, creativity and resilience. Meydan’s vision began with the completion of the Meydan Racecourse in 2010 and was underlined by the Group’s role in the development of Mohammed Bin Rashid Al Maktoum City, specifically District One, a collection of premium mansions, villas and apartments within the heart of new Dubai. The construction of Meydan One will complete the company’s commitment to helping create the future of Dubai through the development of attractive, family oriented residential and lifestyle projects.